Everywhere you go people are checking their mobile phones without paying attention to what is going on around them. Chatting, posting or photo taking, it all happens via a mobile app. Did you ever wonder why some apps get millions of downloads, while some are left anonymous on the virtual shelf? The truth is that the success of an app relies on its features, but depends on its image. The first impression does matter. So besides investing in the developing process, companies must also struggle to build a flawless image on the app store. • Clarify essential issues – after watching the video presentations, users should be left with no questions regarding the app and its features; otherwise, they will just move on to the next related app in the store, one that has everything cleared up. Never forget to also showcase the UX you have worked so hard at. It is true, ordinary users won’t see the hard programming behind those beautiful lines and images. But still, emphasizing the tech side of the product may help in other ways. For example, you can attract potential clients who may ask for mobile app developing services. CPI (Cost-Per-Install) Campaigns are a great way of finding out how appreciated your app is. This is how it works – you must pay a certain amount of money every time a user installs the app. The purpose is to count downloads and to find out if you are in top 50 apps in your niche. If you manage to reach this performance, every penny will be worth! Tech blogs and websites just love to write about future apps and to be the first ones to review them. The best method is to provide them with a short presentation about your company and with the app itself. But don’t beg for positive evaluations, just let them write an honest and spontaneous presentation. Analytics programs make wonders – they track users’ behavior from installation till the app deletion. In this way, developers know what features people use the most, what problems they encounter, and most important, what determines they to uninstall the app. When browsing the app store, users make the decision of checking out an app based on two aspects – its name and its cover image. Therefore, create a unique image, modern and appealing. Make it look luxurious and professional. Bad graphics won’t attract anyone! Tech descriptions of apps are not very attractive. They only appeal to other mobile developers, but not to the large audience. Instead, try to mention the features of the product in a short narration. This one is more likely to attract users and to stick to their memory as it has a story line. Others’ opinion is highly important for users when they go shopping in the app store. This does not mean that you have to hide negative comments and to only post the praises. Just leave them all online, but make sure to answer and solve everybody’s issues. 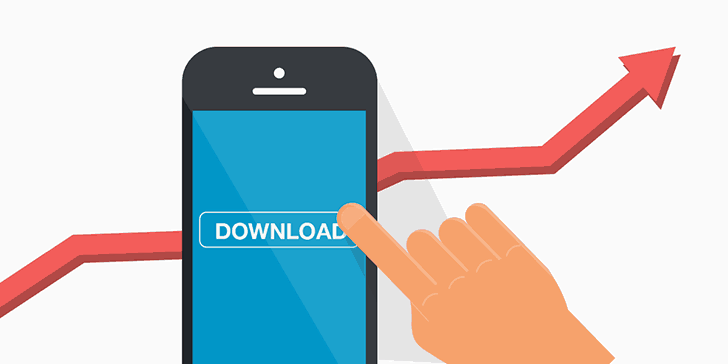 This will make people trust your brand and continue downloading your products. It is vital to adapt the app’s presentation to different cultures. For instance, some populations react to objective and distant texts, while others involve their emotions when making decisions. Furthermore, each country has its own star, so take this into account when creating testimonials with celebrities. In the end, enlarge your public by translating both the video presentation and the app description. In conclusion, app downloads can be boosted thorough various methods – video presentation, discounts, CPI campaigns, blog posts, analytics, cover images, a creative text presentation, testimonials and also localization. Combine all these tactics and you will achieve amazing results worth all efforts. Shahid Abbasi is a marketing consultant with Peerbits, a one-stop iPhone app development company and the home of app enthusiasts. Shahid likes to keep busy with his team, and to provide top-notch mobility solutions for enterprises and startups.